Computer programming has become a vital skill even for non-technical professionals. It is also essential for anyone who wants to “open the black box” and look inside the factors shaping contemporary life. The course is an introduction to programming and to legal issues of current concern. It introduces students to programming in Python, software design, and basic data science techniques. It also opens the black box on several legal issues shaping our contemporary world. Programs and programing concepts create novel problems and solutions in current debates about privacy, police powers, intellectual property, consumer protection, and anti-discrimination. Programing examples will be connected to topics such as predictive policing and the Computer Fraud and Abuse Act. No prior knowledge programming is required. This course surveys the intersection of the American legal system with the finance, delivery, organization, and regulation of health care. Topics to be covered include health care cost and access issues, health care policy and financing, and health care regulatory issues. Each of these broad subjects brings to the field of health law a number of fascinating and at times controversial legal and ethical problems which we will selectively explore. Our studies cover data privacy and security, regulatory compliance with an emphasis on Fraud, Abuse, Stark and Civil Monetary Penalty transactions, government and private health insurance benefits with an emphasis on the Accountable Care Act, professional and institutional responsibility and liability, tax exemption and governance of healthcare institutions. Professor Joan Lebow, who teaches this course, is also the author of the chapter on Confidentiality and Privacy (Chapter 36) in The Law of Medical Practice in Illinois since 2007. 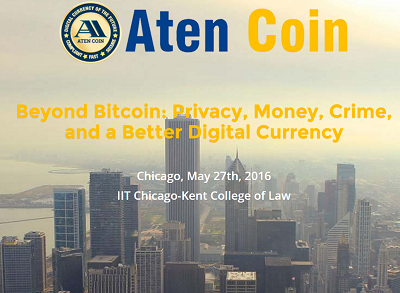 The Bitcoin competitor Aten Coin describes itself as “the next generation digital currency that utilizes proprietary techniques to verify ownership of coin holders, monitor secured transactions, identify senders and receivers, maintain transparency over record-keeping process, protect coins from theft.” What Aten Coin offers is good for controlling money laundering, but can raise concerns about privacy. The conflict reflects the dual nature of financial regulation. Anti-money-laundering and counter-terrorism law require identifying parties in financial transactions and filing reports on suspicious activity, but privacy regulations restrict the disclosure of personally identifying information. 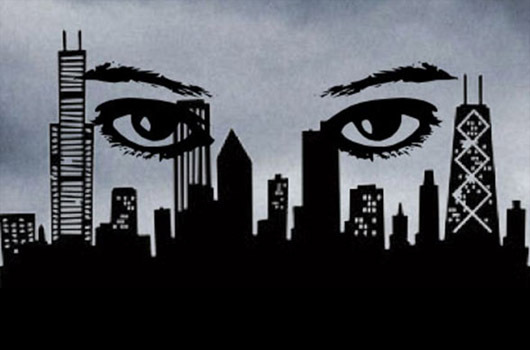 This one-day conference focused on the privacy issues created by the ubiquitous surveillance of smart cities. Five hundred million people will use a health app by 2015 and the use of health apps will increase by 25% yearly. But what are the privacy and legal implications of Health on the Go? The digital world presents new opportunities to improve your health. It’s now possible for your every movement, every intonation in your voice, every phone call you dial or receive, and every website you visit to be tracked, documented and analyzed to create your health profile. From maximizing your personal health and identifying public health trends to fueling a new sector of the economy, health information from apps, social networks and games is shaping our lives. And as our digital health data grow, the need to address the legal, medical and social implications becomes increasingly important. On Friday, April 4, IIT Chicago-Kent College of Law in partnership with UIC School of Public Health brought together medical app developers, lawyers, regulators and health care professionals to discuss privacy and policy considerations for a public increasingly dependent on “Health on the Go.” The conference discussed the laws and regulations dealing with the collection and use of health information outside the health care system. It also addressed current federal and state investigations into data aggregation and medical apps. This conference analyzed how decisions about the balance between privacy and benefits of information processing are made and how they should be made. It examinee the control we do and should have over our information, and the extent to which could and should use technology and the law to gain greater control. The Present and the Future examines how tracking technologies are used and will be used in the future. What Is The Right Legal Regime? examines how the law should best respond to the need to protect privacy while realizing the benefits of tracking technologies. How many things did you reveal about yourself online today? Your opinion of a colleague? Your credit card number? Your photos from last night? These activities are all common ones, but where does the information we post—even on what seem to be the most private or friendly of forums—truly go? In the wake of President Obama’s proposal for a Consumer Privacy Bill of Rights for the Digital Age, IIT Chicago-Kent College of Law presented a national conference on Internet Privacy, Social Networks and Data Aggregation.The audience heard from leaders in the field who discussed how social networks blur the lines between socializing and advertising, how data is collected and used, what legal remedies have been most effective and what the future holds for consumers, companies and the courts. 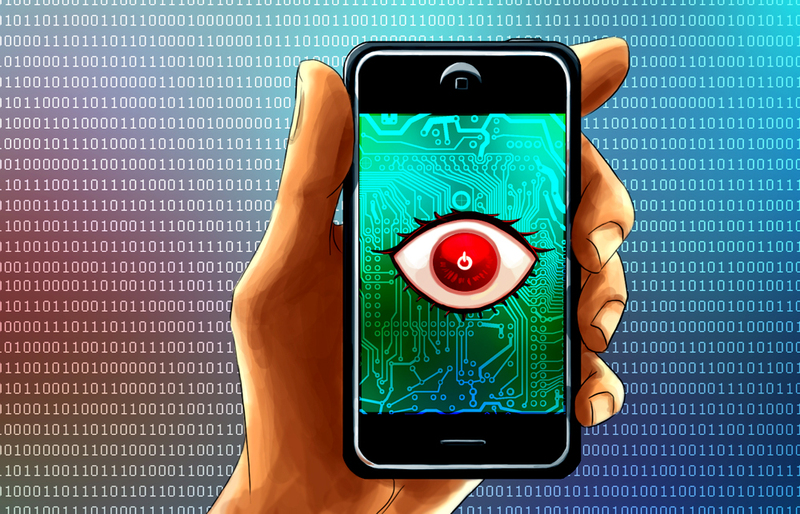 New Ad Technology Begs Question: Is Big Brother Selling You Out? With today's billboards, you can literally be a target on the road. CBS 2's Dorothy Tucker reports. 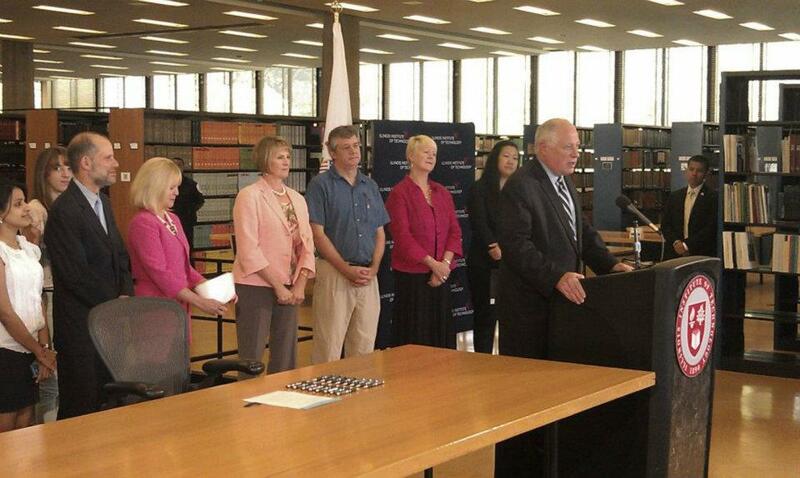 Illinois Governor Pat Quinn came to IIT’s Main Campus on Wednesday, August 1 to sign House Bill 3782, which makes it illegal for employers to request an employee or potential employee’s social media account information, a recent trend among some employers. Illinois is the second state to enact such a law. Quinn was introduced by IIT Chicago-Kent 2nd year student Helen Kim, who is working on issues involving the social and legal impacts of social networks. The governor was also joined by IIT Chicago-Kent Distinguished Professor of Law Lori Andrews, who teaches The Law of Social Networks (LAW 907) at Chicago-Kent and in 2012 published I Know Who You Are and I Saw What You Did: Social Networks and the Death of Privacy. The bill was sponsored and shepherded through the legislature by State Senator Christine Radogno of Lemont and State Representative LaShawn Ford of Chicago, who also spoke at the signing event. Android’s Watching You. Now You Can Watch Back. Blockchain: Web 3.0 or Web 3.No?